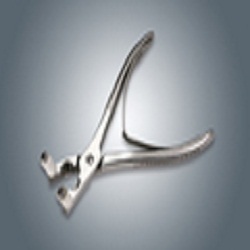 Manufacturer of a wide range of products which include stainless steel stripper. Owing to vast industrial experience in the industry, we offer performance oriented array of Stainless Steel Stripper that are acclaimed for high quality and seamless performance. Our entire product range is compact in sizes and is used in light and heavy duty industries. They are abrasion resistant and come in budgetary limits. Looking for Stainless Steel Strippers ?